This is a small offering of my photos. Photo options are paper prints, canvases and also licensed downloadable copies (personal or commercial). If you are interested in another shot, please feel free to reach out to me using the contact form. 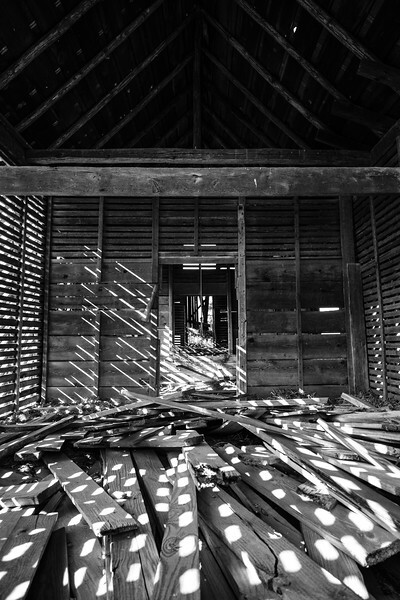 The morning summer sun beams into an old corn crib in southern Virginia.